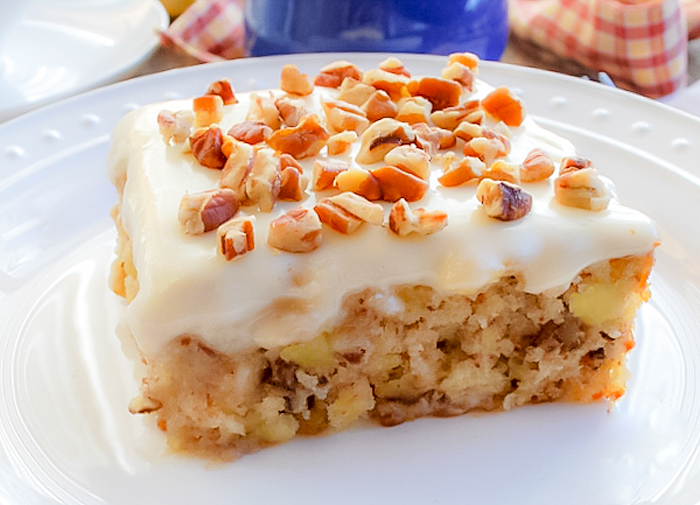 A delicious one bowl pineapple cake topped with a cream cheese frosting while it’s still hot. This Easiest Pineapple Cake is a one bowl wonder! Not only is it made easy by only needing one bowl to make it, there isn’t any butter or oil in the cake batter and yet it is extremely moist! The cream cheese frosting is put on the cake while it is still hot, the frosting seeps into the top of the cake, it’s incredible. This is a dense , moist, pecan, pineapple filled cake topped with a creamy cream cheese frosting your family will thoroughly enjoy! I didn’t have crushed pineapple but I did have pineapple slices. I took the slices out of the can and into my food processor and pulsed them until they were “crushed”. I put the crushed pineapple and it’s juice into the bowl and added the other cake ingredients to it. After all the cake ingredients were in the bowl, I mixed with an electric mixer just till the ingredients were combined. That only took about 3 minutes tops. I folded the chopped pecans ( mine were more crushed ) into the batter. In to the oven it went. About ten minutes before the cake was to be done I made the frosting. I topped the cake with the frosting right after I took it from the oven. The result? Pineapple cream cheese heaven! This is a definite keeper Kids! Enjoy! Remember ...there's no oil or butter in this cake batter. 1. Preheat oven to 350 degree F. Mix all of the cake ingredients together in a bowl. Pour into a greased 9X13 inch pan and bake at 350 for 35 - 40 minutes (until top is golden brown). 2. Frosting: Beat butter, cream cheese and vanilla together until creamy. Gradually mix in powdered sugar. 3. Frost cake with cream cheese frosting while still warm. Sprinkle with chopped nuts if desired. Oh my goodness! This is my long lost recipe! I’m so happy to find this one, after all these years. Oh, this is one delicious cake! Thank you. Is this meant to be served in the pan? Can you midify to take it out and make a better presentation? Elizabeth I served it in the pan, you could try greasing the pan well so that after it cooled you could flip it out onto a cookies sheet if you didn’t want to serve it in the pan. Or you could try making it in 2 square pans which would be easier to get out of the pan. I’ve never done either so let me know how it goes if you try it. Late to the game but just use parchment in the bottom of the pan, then you can lift it out. Thanks for the tip Chrystal! Hey, never thought of using parchment paper to lift cake out of pan. I broke a cake trying to flip it out, lol. Thanks, Chrystal! Can I use less sugar in the cake? Yes Mary you could use less sugar. This looks so good. I was wondering if the flour is just plain or self raising. That is a lot of sugar will try reducing it. I’m going to make this with Splenda (sugar substitute). Or, half sugar and half splenda. I might make it in a bundt pan and to save additional calories, frost with a combination of confections sugar and water and swirl on cake. Elizabeth this isn’t a cake that’s tall so I wouldn’t make it in a bundt pan. Let mew know how the combination of Splenda and sugar works out for you. I can certainly understand why you would want it back! This cake is KILLER!! Glad you have it again Debby!! just make your own…canned pineapple in the blender,,,,but remove juice first…works well…can;t find crushed pine apple in Greece, so that is what I do when a recipe calls for it…. Marie I didnt have any either but i did have pineapple rings, I put them in my food processor and made crushed pineapple. Thanks for coming by Marie! I love canned pineapple! This cakes looks amazing! It it seems to be soo easy to make . I might have to give it a try! I’m looking forward to getting it together. My question is; would it work with a Fresh Pineapple (i.e. not the tinned kind)? I’m so mad at myself, cause I bought everything to make this and got home and noticed I picked up the Pineapple with the heavy syrup. Is there anything I can do? Anonymous, I think the heavy syrup would make it to sweet plus you wouldn’t have the pineapple flavor you would have if you used the pineapple in juice. I hate it when I do stuff like that, and believe me I have! You could try it and see what happens. Try draining, rinsing and use some water mixed in! Denise, fresh pineapple wont have enough juice for the cake. All of the juice in the canned pineapple is put into the cake. I think this is the best cake I’ve ever made! I didn’t even use an electric mixer, only a spoon! Loved the nuts in the cake which is very moist and on top of the frosting. I only used 1 cup of sugar in the frosting and it was plenty sweet! Patricia thank you so much for coming back and telling me you made it! It’s a delicious cake and won’t it be nice for summer too! Wowziers! This cake is fabulous. I made it last night, had a piece last night and actually had another piece for breakfast. So good I also had to blog about it at marshasayer.blogspot.com. Thanks for a recipe that will be one of my constant go-to recipes for special occasions & well, everything else. Thank you so much Marsha!! My family calls this “Chopped Suey Cake” Do not know why. My grandfather only had one hand due to an accident. He made it all the time in a bowl and spoon. No icing for him. This is the most delicious cake I have ever had. SOOO excited to try this! will let you know how it turns out! Is it Self raising or plain flour? This was fabulous! I made it Saturday and it is gone today… Monday. Easy and really yummy! Tracie, oh please do come back and tell me, I would love to know! Annj, plain flour. I very seldom use self rising. Kecia, GREAT!! Thanks for coming back to tell me!! YUM! this cake couldn’t have been easier! very delicious!!! i had a little issue with the cooking time. the cake was very browned by 35 minutes, but it took closer to 60 minutes to get the middle to set up. the next time i will make it in my 11×14 pan. i was thinking a little coconut might be lovely in this cake also. another good recipe! thanks for sharing it. A Happy Little Life, I’m glad it worked out in the long run. Wow! I didn’t know the flours were so different from one country to the next! That’s right…YOU OWN IT!! I used to make a cake like this a long time ago, and you are correct. Amazing. It’s been way too long so I think I need to make your version today!! I love that it has no oil or butter in it too!! Thank you Renee, you’re right it really is amazing and GOOD!! I made this with fresh pineapple and a cup of canned pineapple juice and it rocked! Is it oky to substitute egg with yogurt? No egg eaters! Yes Life is beautiful. You can sub 1/4 cup of plain yogurt for 1 egg. Let me know how it goes for you! I have yet to make a pineapple cake; thanks for the inspiration here, yet again! It looks wonderful! This looks like the same recipe that I found in my deceased MIL’s file. My husband says it’s at least 50-60 years old! It’s one of my favorites and one of the recipes that I use when I have to bring something for a potluck, picnic etc. It always gets raves and requests for the recipe. Wanted to add that the cake has another name on the card I have. It’s called The Best D*** Cake! LOL!! That’s because it is!!! 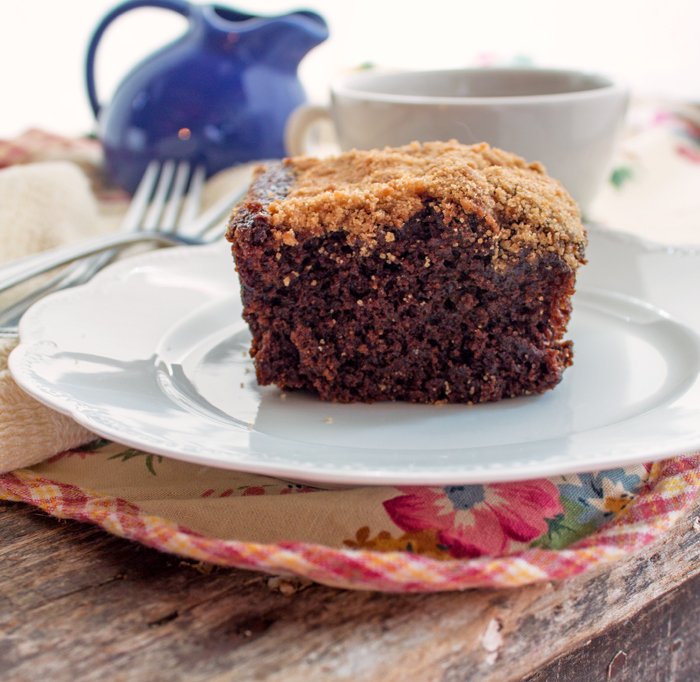 The staying power of an excellent cake recipe is amazing isn’t it Debbie! !60 yrs old!! Could I coconut flour instance of all purpose?? Oh my goodness! This cake looks amazing!! And it’s one bowl, too? I’m definitely making this one! Thank you for sharing with #FoodieFridays! Christie, yes one bowl and absolutely DELICIOUS!! No butter or oil if you DO NOT make the icing. Yes Maureen, none in the cake, but there is in the icing. does this cake have to be refrigerated because of the cream cheese frosting? yes sheri I’d refrigerate the cake for the frosting. I checked this link and it is for Splenda Blend, which is half sugar and half Splenda. Plain Splenda says to use it cup for cup in place of sugar. Could you use a pineapple cake mix instead and add the pineapple and eggs for the cake part? 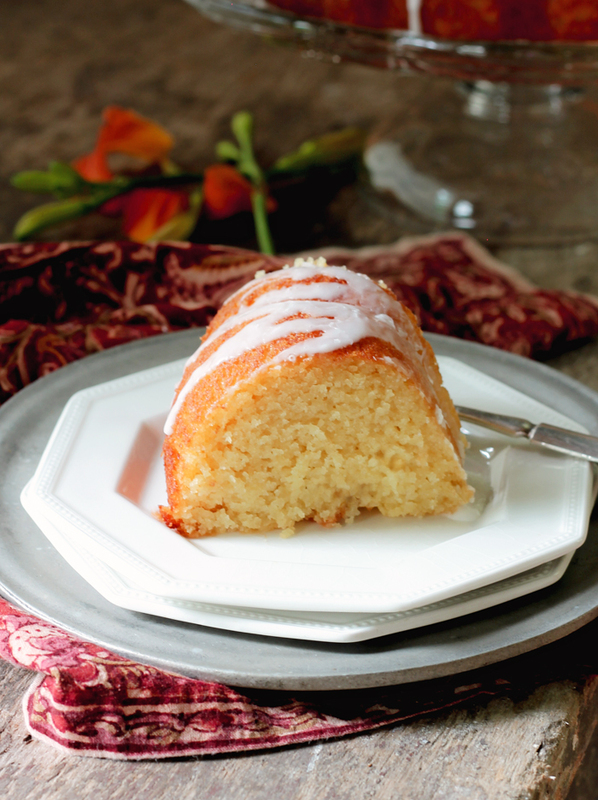 You could use a store bought pineapple cake mix, follow the cake directions for making it. Drain the canned pineapple really good and add it to the cake mix. Cake looks lovely and i really want to try it. I can only find canned pineapple slices and crushed pineapples in syrup. And i do not have a food processor to crush the slices on my own. How else can I crush the slices? Or how can I substitute the crushed pineapple in syrup for use in the recipe? I wouldn’t use the crushed pineapple in syrup Miss Mel. What you want is the pineapple juice to give it lots of pineapple flavor, with syrup all you get is more sugar and no flavor. Take the pineapple slices in your fingers and just shred them or take a fork and shred them. Thanks for the great recipes, dear. Thank you Allen, it’s my pleasure. I used toasted coconut on top. Wife says best cake she ever ate!!!!!!!!!!!!!!!!! LOVE IT Fred!!! Thanks for coming back to tell me!!! Could you use a bundt pan? No Teresa, it’s not tall enough for a bundt pan I’m afraid. Ok, thanks for the quick reply Bunny. 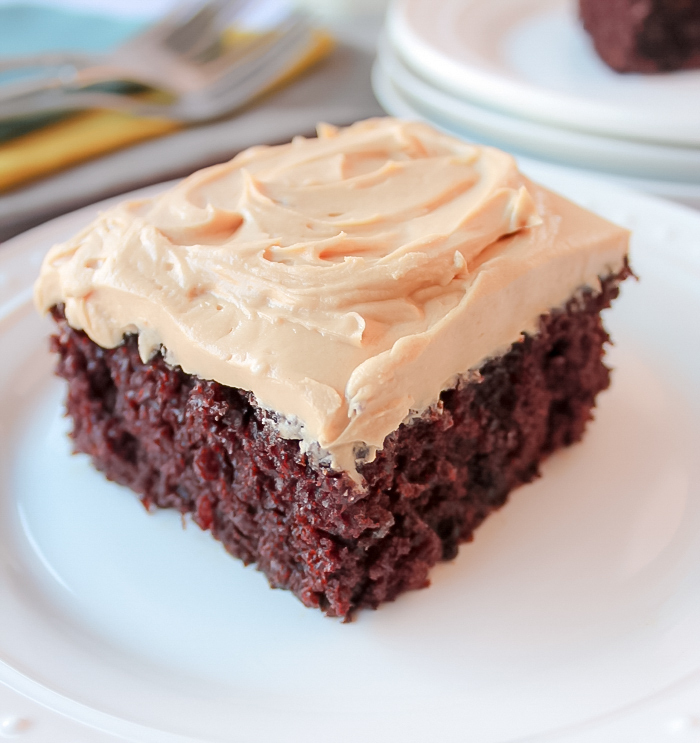 That looks so wonderful…and I am so addicted to cream cheese frosting! Sending some foodie love! Brenda, I’ve never done that. All I can say is give it a try and let me know how it goes for you. Working on Easter-I am making this for my coworkers. Awe! You are the sweetest Nancy! They’ll love it! Wonder if you could use a combination of pineapple and mandarin oranges? Maybe if you kept the amount of liquid the same? I may just have to try it. Super photos! They look good enough to eat. I’ve never done it anyway but with the pineapple but i think if you do keep the liquid the same it could work! I made this cake this afternoon, it was delicious!!!!!!!!! Will make again for sure. Thank you Amanda, it’s a keeper for sure! This cake looks amazing. I’m about to make it for a family reunion. QUESTION: With so many good comments, why does this cake have a 2 star rating? Also, I noticed you didn’t use butter in the icing. Why not? Thanks in advance for a reply. Hi Bee, there is butter in the frosting. There’s just no butter in the cake batter or oil. As far as the stars go, I have no clue. Let me know how the cake turns out for you! I am wondering how a person could make this with fresh pineapple – living in Fiji it seems wrong somehow to use canned when it grows all around me. Michelle you need the juice from the canned pineapple in the recipe to add to the batter. If you could add juice with the fresh pineapple that would work. I know this as the Do Nothing Cake, been making it for more than 25 years. 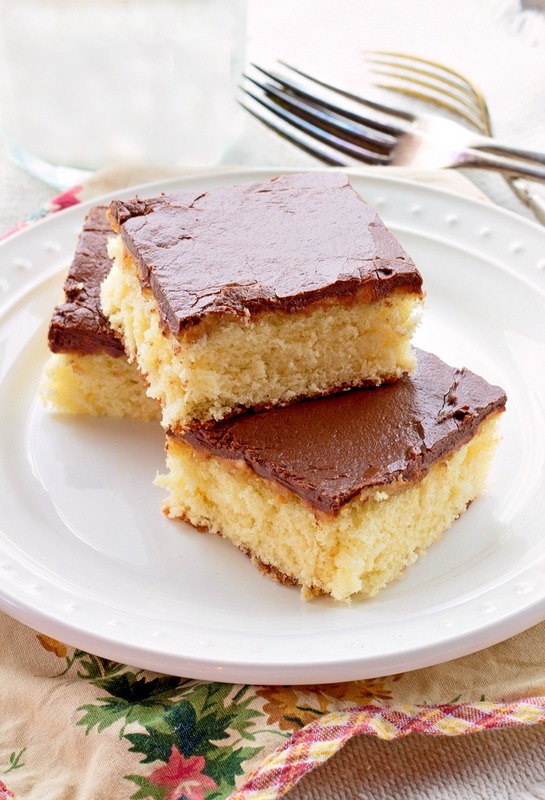 It has stood the test of time and is a great cake to take to potlucks or for any occasion. Everyone loves it. I have never made it with the cream cheese icing but will. For those who would like an icing variation do this: 1 stick butter, 1 cup sugar, 3/4 cup evaporated milk, 1 cup coconut, 1 cup pecans, 1 teaspoon vanilla. Mix butter, sugar and evaporated milk in a saucepan and cook over medium heat until a little thickened, about 5 min at a boil. Add remaining ingredients and pour over hot cake. Jenny thanks for the icing variation!! Looks awesome, I love pineapple! Thanks for sharing sweet lady. I wanted to follow your blog but couldn’t find it. Dropping by from Bouquet of Talent. Oh my! This looks very tempting! Thank you for sharing your recipe with us at Brag About It! Cakeskes is in the oven as I type. I added chia seeds instead of nuts. toni I hope you loved it!! Wow, this looks so good! I am definitely going to pin this. I love pineapple anything! Thanks for sharing with us at the #HomeMattersParty with us! Does the butter in the frosting need to be softened or melted? Debbie, just room temperature is fine. Looks great, cant wait to try it. Just confused. Do i use the canned pineapples juice? Cuz you said drain it then you said juice it. If i drain the can syrup wgere do inget the juuce from? sharmeen, yes a can of pineapple in it’s own juice, not a can of pineapple that has syrup instead of juice. The whole can goes in PLUS THE JUICE. Is the oven temp and cooking time for a glass 9×13 or a metal one? It would be the same for a glass or metal pan Emom. My aunt always brings this cake to family reunions in a great big pan. She doubles or triples the recipe because everyone loves it so much. She calls it Swedish Nut Cake. It’s a fantastic recipe Gail! This sounds like something my siblings would love as they are crazy about pineapple anything! Looks fabuloua! It’s a fantastic cake Cathie! Recipe similiar to one I make with canned mandarin oranges. No frosting. Everyone loves it. I try to keep the ingredients on hand for a quick dessert when unexpected company comes. Cooks while we eat dinner, and so good when warm. I will try this one soon. Suitable for RVers to make while camping. What a great alternative Shirley, I’ll have to try it! This cake looks so delicious. I love pineapple anything. Thanks for sharing. Your welcome Wanda, thanks for visiting! Awe, that’s wonderful NeNe, so happy it brought you great memories! Just made this cake. It is delicious. I made some changes for the frosting – added only 1/2 cup of powdered sugar, 1/3 cup of agave nectar and a little bit of lime juice (1/4 of whole lime) to the rest of ingredients of the frosting. My husband and two years old son loved this cake. Wonderful recipe, thank you. Hi Bunny, this receipe was shared in Facebook and I tried it. It was a hit! Everyone loved it and so easy to make! Thank you for the recipe. Is it 20 oz of pineapple only with the juice? how much in militer ? Mexican Fruit Cake. I got this recipe from a little Italian lady in Cincinnati 30 yrs ago. Have been making it ever since. Oh it’s so good Susie, it’s no wonder the recipe has been around forever! This recipe looks delicious, especially with this icing recipe! Coconut would be a wonderful topping sylvia. My daughter made this cake for me today for mother’s day. Very delicious. I’m wondering if this cake can be frozen? Helen, I’ve never frozen it, but if I did I’d do it without the frosting on it and then make the frosting after it thawed to top it with. WOW. I just made this cake and it is delicious. Moist inside with a slightly crunchy top. My husbands new favourite. Thankyou so much for the recipe. Beverly it’s one of those cakes you can’t keep your hands off of! Thanks for coming back to tell me you made it! I love this cake!!! My husband wants a carrot cake for Father’s Day. So, I want THIS cake, but add carrots, cinnamon and coconut to it. Any suggestions. I find it hard to sway from this recipe. The cinnamon and coconut are dry, but perhaps I should add a bit more flour to accompany the carrots. Any suggestions? Susan the pineapple in the recipe is undrained. It’s used as the liquid in the cake because there’s no oil or butter. Maybe if you used pineapple juice that would work with the carrots. Bunny, I made it exactly as per your recipe and added the cinnamon, coconut and carrots. It was incredible. Susan well I’m going to have to make it YOUR way!!! What were the amounts of carrot, (was it grated), coconut ans cinnamon? then add: 2 cups grated carrots, 1 cup coconut & 2 tsp. cinnamon. You are AWESOME Susan!! Thank you for sharing with me and my peeps!! I’m going to make this again with your permission. And give you the credit for it. It sounds awesome!! Absolutely the most delicious cake!! Does anyone know how many calories r n it? Shirley if we knew how many calories were in it we wouldn’t love it as much! No I’ve never know the calorie count. I love this cake! I make it to have a great dessert during the week when we are working. Thanks so much for sharing this one and your other wonderful recipes! 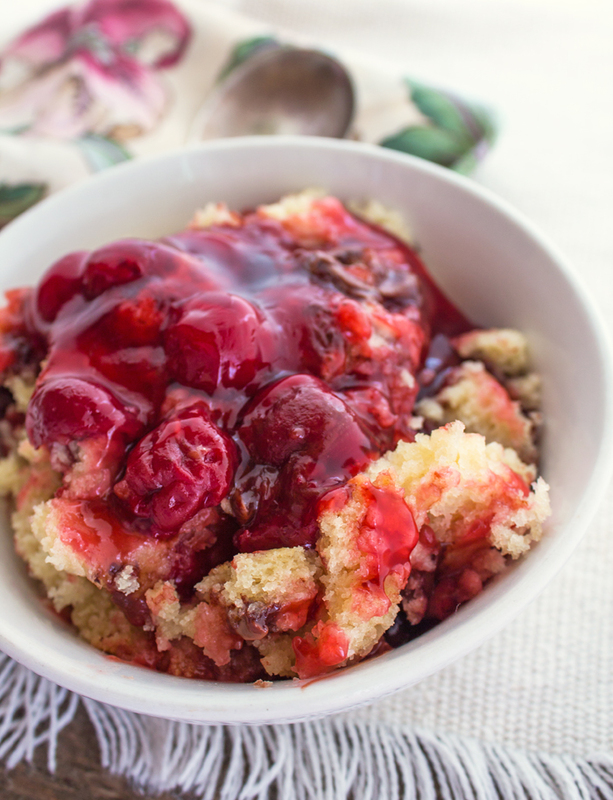 This is almost the same recipe as I have in a recipe book from the 1970s that is called a “Duddle Cake.” To paraphrase Shakespeare, a great cake by any other name would taste as sweet. Mine doesn’t call for vanilla, but otherwise is the same. And it doesn’t call for cream cheese icing, rather, it says to boil 1 1/2 cups sugar, 1 stick oleo, and 1 small can (3/4 cup) evaporated milk for three minutes. Then it says to pour this over the warm cake and to top with coconut and nuts as desired. Making tonight with your cream cheese version and expecting great things. Bon appetit! I made this recipe, because I wanted to heat up the house and I had all of the ingredients. Luckily, it was moist and delicious. I will definitely pass this recipe on and will continue to make it. My grandkids would love this cake if they tasted it, minus the nuts… but wouldn’t eat it if they saw the tiniest bit of pineapple. I’m thinking if I put the pineapple and juice in the food processor and made pineapple-sauce, they would never detect it. This is a question for anyone: Since applesauce is often used to replace oil in recipes, do you think the pineapple-sauce would act the same as applesauce and cause the cake to be TOO moist? Should I reduce the amount of oil somewhat? Family loved the cake. My husband looked like a bridegroom with cake smashed in his face and he was trying to say that it was wonderful it was. He just couldn’t get it in his mouth fast enough! I made 1/2 the cake with nuts and other hqlf without nuts. Great both ways. Thank you for the recipe-had the cake many years ago as a child. I love it Bethalee, it always makes my day when I read a comment like yours. My best to you and your family! What an extremely sweet cake. No way I would put frosting on it to add to the sweetness. Very simple recipe indeed but the cake is nothing I would serve to impress. Will not do again that’s for sure ! It’s not for you jacques but it’s a winner for a whole lot of other people. Thanks for stopping by! I agree. This is not a good cake. The batter was sweet, but when it was baked could not taste any pineapple. Ended up throwing it away. I’ve used Splenda Brown Sugar instead of sugar. I’ve used half chopped walnut and half unsweetened shredded coconut. Topped with more coconut. Bake it in Muffin Pan for 22 minutes. Broil 1 – 2 minutes to brown the coconut a bit before taking out. Keep an eye on it to avoid burning the top. For the Cream Cheese Icing: I’ve used only 1 cup instead of 1.5 cup of icing sugar. OMG! This is so easy to make, and TASTY! WOW wonderful Helen! Thank you for telling us how you made it with Splenda, it will be so helpful to someone else looking to make it that way! We call it Hawaiian Wedding cake. Love it. Just wondering if I can substitute the all purpose flour and baking soda with self rising flour? Can’t wait to try this recipe. Pineapple cake is one of my favorites. Thx in advance!